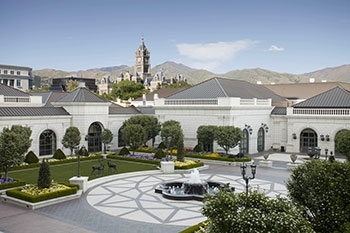 Next year at the annual National Board/ASME General Meeting, May 6-10, 2019, attendees will celebrate the National Board’s historic 100 year anniversary at The Grand America Hotel in the heart of Salt Lake City, Utah. The last (and only other) time a General Meeting was held in Salt Lake City was in 1985. The Grand America Hotel had not yet been built, and the meeting took place at The Little America. The Grand America Hotel opened in 2001 in preparation for the 2002 Winter Olympics, and is located across the street from The Little America. Both properties (and six others in the Western United States) are owned by Robert Earl Holding’s family, which also owns the Sinclair Oil Corporation. The Grand America Hotel is located less than 10 minutes from the Salt Lake International Airport and is within walking distance of shopping, restaurants, and public transportation. It provides 75,000 square feet of event space and onsite dining and spa options. Ski resorts and several national forests and state parks are less than an hour’s drive from The Grand America Hotel. Downtown Salt Lake City is easily accessible from The Grand America Hotel by taking the free Trax train system, just steps from the hotel. Salt Lake City is a vibrant mix of entertainment, shopping, tourism, eateries, theater, NBA games, and more. The city boasts the best of a major metropolitan area with the friendliness of a quaint mountain town. Visit The Grand America Hotel or Visit Salt Lake for more information about the host city and hotel. And stay tuned for more details about next year’s special General Meeting.